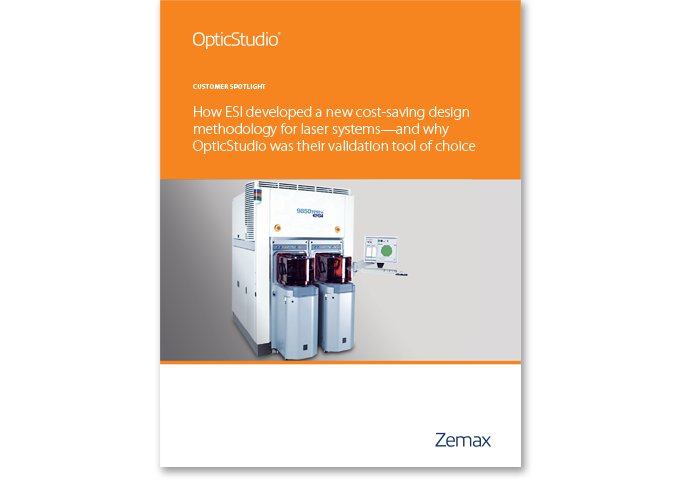 OpticStudio’s intuitive user interface includes easy-to-learn tools and wizards which enable efficient simulation and design of any optical system. With more than 200 field points you can set up even the most complex freeform and non-rotationally symmetric systems. 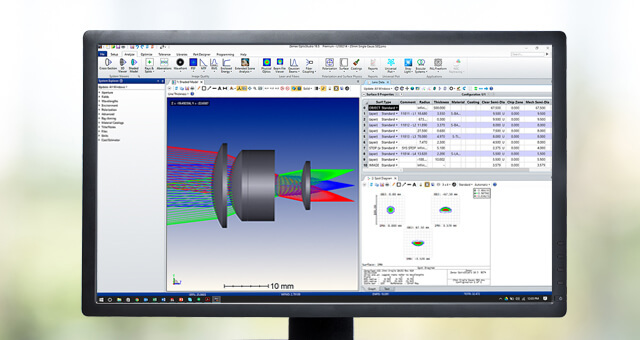 Design high-confidence virtual prototypes with the only optical design software that can model everything from imaging optics to illumination, including the effects of stray light. 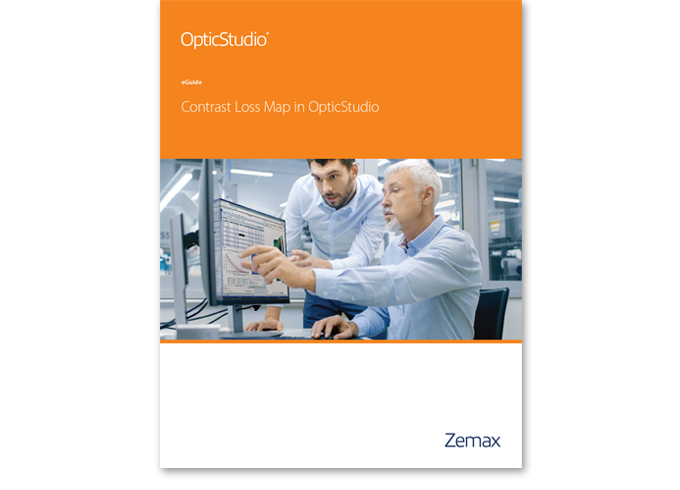 OpticStudio includes a suite of tools to analyze the performance of your system. In addition to the classic analysis functions, OpticStudio also offers Full-field Aberration analysis to improve freeform designs; contrast analysis for MTF optimization; and Image Simulation to produce photorealistic images of object scenes. State-of-the-art optimization tools automatically improve the performance of designs based on userdefined constraints and design goals. This saves time by eliminating design iterations. 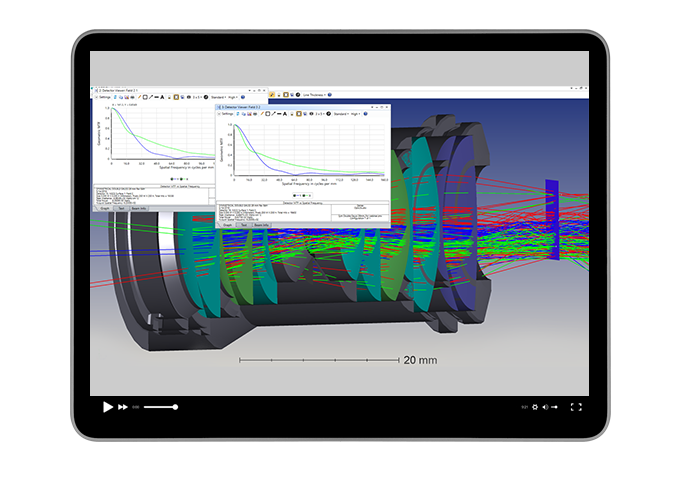 Optimize for MTF up to 10x faster with Contrast Optimization - which removes multiple design and test steps inherent in older processes. Advanced tools incorporate manufacturing and assembly limits into design constraints to ensure manufacturability and production efficiency. In addition to sensitivity studies, Monte Carlo tolerance analysis can simulate the as-built performance. Finished designs can be exported to manufacturingready outputs such as ISO drawings and common CAD file formats. With the ZOS-API, you can create standalone applications, build your own analyses, and control OpticStudio externally using C#, C++, MATLAB and Python. Zemax Programming Language (ZPL) enables you to write your own macros to automate repetitive processes. Custom DLLs allow creation of any surfaces, objects, sources, and scatter functions. See for yourself how the world’s best optical engineers create amazing designs.